For the second year running Faith and Freedom is producing a full-colour Calendar in aid of the charity, the Send a Child to Hucklow Fund. With the Calendar you not only get the images covering people, places and religious celebrations from all around the world but an extensive record of dates and events covering all major religions and for all sorts of religious occasions and anniversaries in 2016. A big thank you to everyone who sent in pictures. The volume and quality of images we received was overwhelming, making the final selection a very difficult task. We will try to include a range of images which didn’t appear in the Calendar on our website: www.faithandfreedom.org.uk.We also hope to upload the full Calendar for all to see on that site. 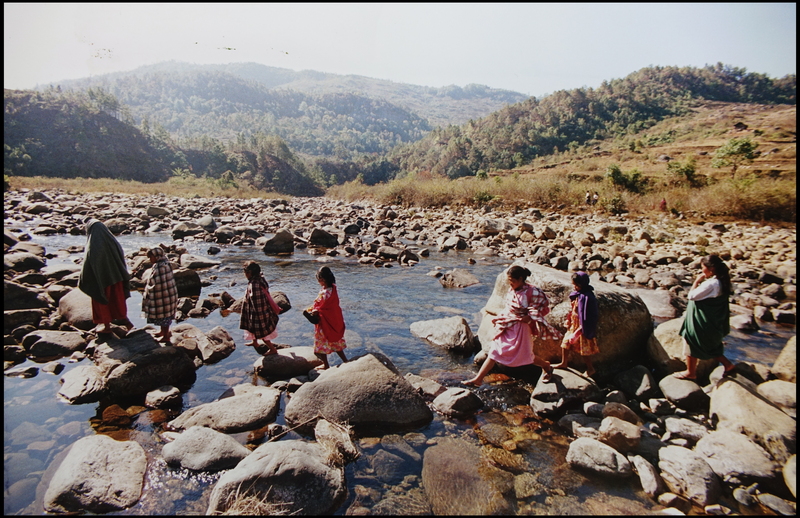 One of the images that we weren’t able to use in the Calendar is this picture, taken by John Hewerdine, of the five mile walk undertaken by Unitarian children each week to get to their Sunday School in the Khasi Hills, India. If you are not already a subscriber to Faith and Freedom you can purchase a copy of the Calendar for a suggested donation of £5, all of which will go to the Send a Child to Hucklow Fund to enable it to continue its invaluable work in giving disadvantaged children a much-needed holiday at the Nightingale Centre, Hucklow in the Peak District National Park. Neville wondered if this was a unique memorial in Unitarian church circles and I did suspect that he might be right. However, we can now be sure that it is not unique. 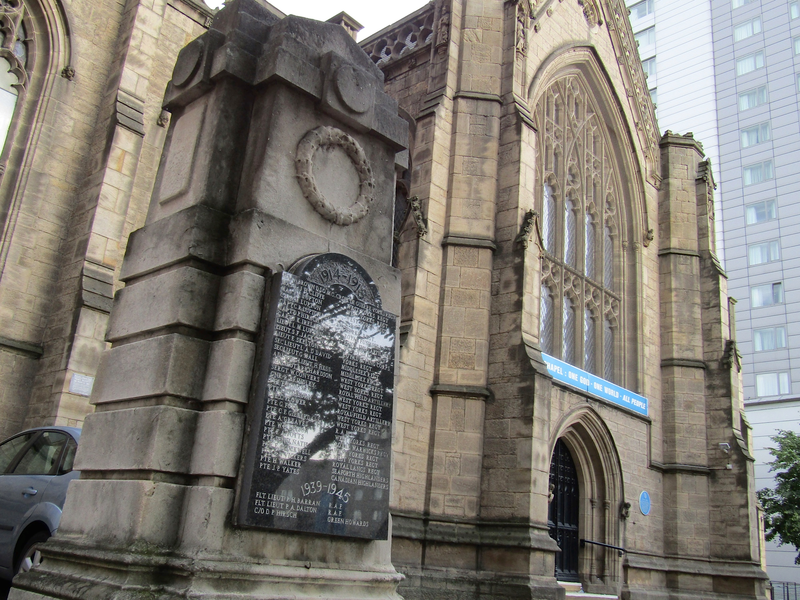 The Rev Jo James has sent me some pictures of the Cenotaph at Mill Hill Chapel, Leeds which stands very prominently in front of his grand gothic church in the city centre. All these pictures will also appear online on the Faith and Freedom Great War Project. 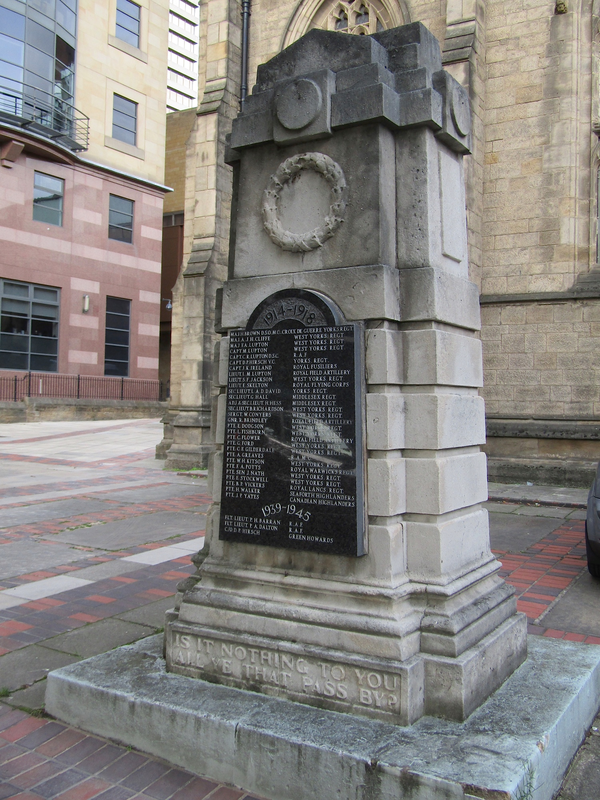 Jo tells me that the list of names on the Cenotaph is that of those members of Mill Hill who were killed in the First World War. Inside the church a second tablet lists all those who served (although it does not include any of the female members who served in different ways in the war. 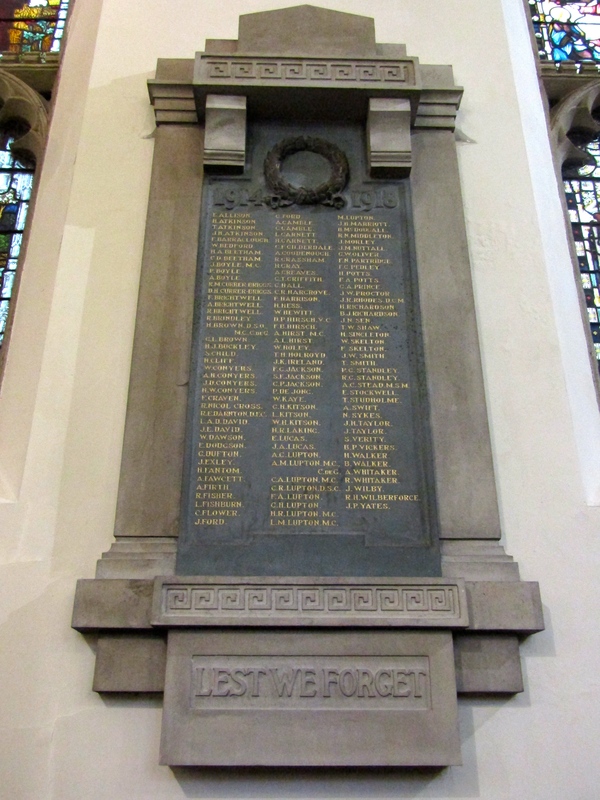 An interesting account of the war service of Mary Cicely Wicksteed, one of three sisters from the Chapel who saw service in the war, by Ruth Allison, can be seen here: https://pelicanroad.wordpress.com/2015/07/02/mary-cicely-wicksteed-and-jogendra-nath-sen-and-leeds-pals-by-ruth-allison/). The inscription at the foot of the Cenotaph comes from the book of Lamentations – Is it nothing to you, all ye that pass by? It seems an appropriate quotation when one considers the loss of so many young men such as the four members of the Lupton family. The families of all those men listed on the plaque must have reflected on that passage very often, Is it nothing to you, all ye that pass by? behold, and see if there be any sorrow like unto my sorrow. Willaston School only operated from 1900 to 1937 but was a successful small public school that had been set up specifically to educate the children of Unitarian families. For most conspicuous bravery and devotion to duty in attack. Having arrived at the first objective, Captain Hirsch, although twice wounded, returned over fire-swept slopes to satisfy himself that the defensive flank was being established. Machine gun fire was so intense that it was necessary for him to be continuously up and down the line encouraging his men to dig and hold the position. 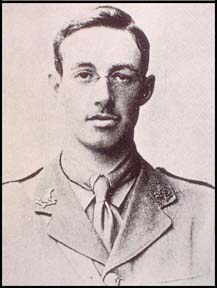 He continued to encourage his men by standing on the parapet and steadying them in the face of machine gun fire and counter-attack until he was killed. 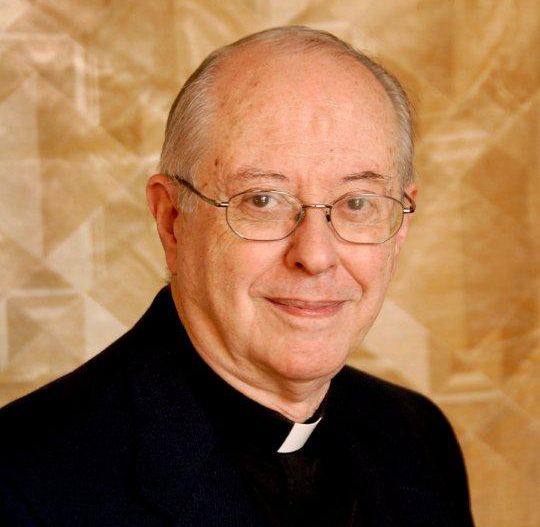 His conduct throughout was a magnificent example of the greatest devotion to duty. A brief search online shows that David Philip Hirsch’s letters are now preserved in Leeds University. He was only 20 years old when he was killed. He was a star pupil at Willaston School and became the head boy before winning a scholarship to Worcester College, Oxford. After the war his parents paid for a new swimming pool to be built in the school in his memory. It would be interesting to know if the swimming pool (and the memorial chapel) are still preserved on the site of the former school. 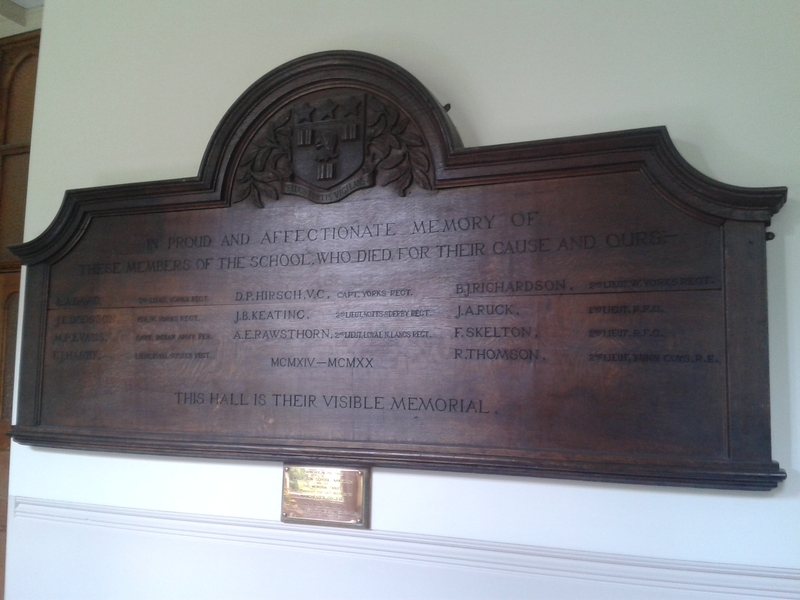 This leads on to another question (or questions) – how many Unitarians were awarded the VC in the First World War? Indeed how many Unitarians have been awarded the VC since it was instituted in 1856?